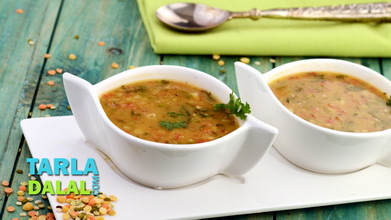 A lip-smacking preparation of wholesome urad dal, perked up with calcium-rich curds and pungent ginger, garlic pastes. 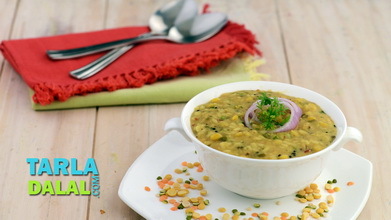 Although it makes use of minimal ingredients, the Khatta Urad Dal has a distinct, tongue-tickling flavour that you are sure to relish. 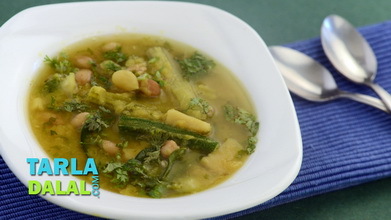 The highlight of this recipe, as the name suggests, is its sourness, so make sure the curds are sour enough. 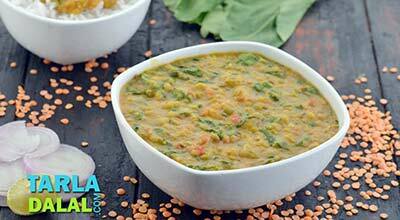 Serve the Khatta Urad Dal piping hot because cooked urad has a tendency to clump up when left to cool for too long. 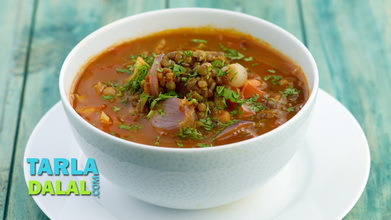 Add loads of fresh, finely-chopped coriander as it imparts a wonderfully peppy tinge to this sumptuous and protein boosting dal. 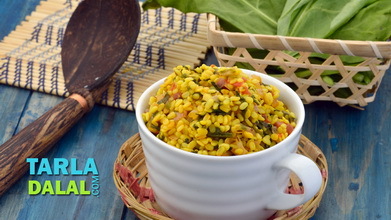 Clean, wash and soak the urad dal in enough water in a bowl for 15 minutes. Drain well. 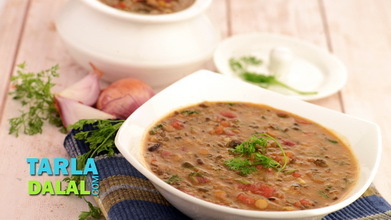 Combine the urad dal and 1½ cups of water in a pressure cooker, mix well and pressure cook for 3 whistles. 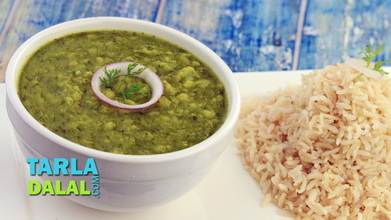 Add the curds, 1½ cups of water, garlic paste, green chilli paste, salt and turmeric powder and mix well. Bring to boil and cook on a slow flame for 10 minutes, while stirring occasionally. 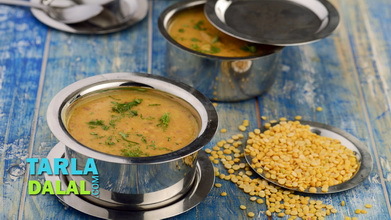 This dal tends to thicken if kept for too long. So, if you have made it in advance, add little water to it and re-heat it before serving.